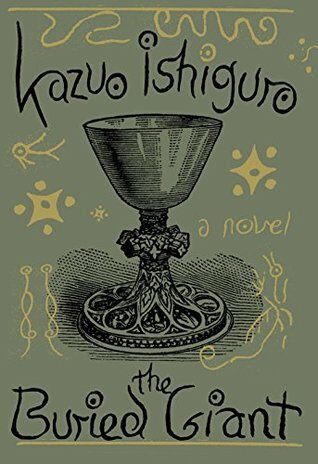 Our book club pick for this month is The Buried Giant, by Kazuo Ishiguro. In preparation for our meeting next week, I’ve been combing through discussion guides, book reviews, and blog posts. Since you can’t be at our actual meeting, I thought I’d share some of my favorite discussion questions below and see what you think! Please comment with a link to your review, to tackle a discussion question or to disagree with my review! The description on the back of the book: The Buried Giant begins as a couple, Axl and Beatrice, set off across a troubled land of mist and rain in the hope of finding a son they have not seen for years. 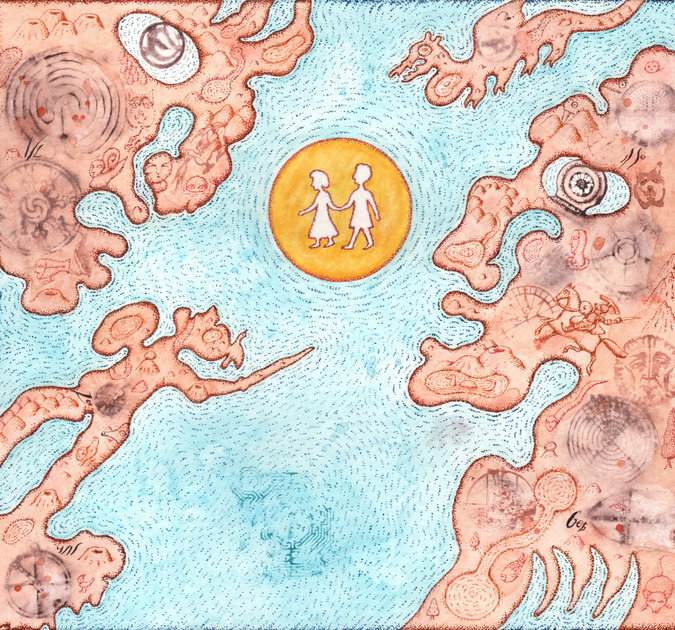 They expect to face many hazards—some strange and other-worldly—but they cannot yet foresee how their journey will reveal to them dark and forgotten corners of their love for one another. Sometimes savage, often intensely moving, Kazuo Ishiguro’s first novel in a decade is about lost memories, love, revenge and war. My Thoughts: I’ve always thought that Ishiguro tells the same story again and again in slightly different contexts. Usually, a character is older and looking back on his/her life trying to piece things together that happened in the past. Upon reading The Buried Giant, two things really stood out to me immediately: 1.) the book is told mostly in the third person and from multiple characters’ points of view, and 2.) the book mostly occurs in the present. By this I mean that although there is a lot of reminiscing and piecing together of the past, the action occurs mostly to the older character, instead of in his/her memories. Ultimately, I thought that this was a refreshing permutation of the same story that Ishiguro loves to tell. I wouldn’t call this story a fantasy novel or compare it to Tolkien, because I don’t think Ishiguro really is trying to inhabit the fantasy world. Instead, he is using these mythical creatures as tools to push the story further in the direction of allegories and fables. The same story could be set on a different planet, a dystopian future, or in the modern day, and it would still work. I really loved this book, I think it’s the best that he’s ever written. I’d recommend this book to people who like to read Aesop’s fables, fans of Ishiguro, and anyone who likes to contemplate life’s larger questions, such as the nature of time, love, and memory. Onto the discussion questions! I’ve pulled these from a variety of sources, which I’ve provided in the links below. Ishiguro has said that he always feels the pull of the metaphorical landscape. How should we regard the landscape of The Buried Giant? Is it historical, metaphorical, literary? Something else altogether? Does Merlin’s mist, which does not discriminate between different kinds of memory and forgetting, encourage us to elide real differences between different types of memory and the way they’re maintained or suppressed? What function does Gawain serve in the novel? Why include so familiar a figure at all? How does Edwin’s memory of his mother change throughout the novel? Discuss the incident in which he is stuck in the barn in Chapter Four. Part III of the novel opens with Gawain’s First Reverie. Describe the contents of this section. Why do you think Ishiguro chose to write this section in such an intimate perspective? How would you characterize the relationship between Axl and Beatrice? Were you surprised throughout the book as we learned more about them? What do you think happened in the last chapter? Why was it written from a new character’s point of view? Neil Gaiman, for the The New York Times, however, called this book exceptional, although he admits he did not fall in love with it. Thank you for posting this. I’m leading our discussion on The Buried Giant later this evening. Your questions are for more interesting than the stock “discussion groups questions” which normally feel like they are aimed for high school 5 paragraph essays. I thought the book was great. I loved the rhythm and the mood. I’ll see what my bookies think tonight. Thank you, Debby! You’ll have to let me know how your book discussion goes. I really enjoyed the book as well.